Athletics at Pocono Springs are all about fun, sportsmanship, improving skills, and trying your best! 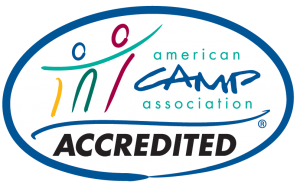 We take pride in providing positive experiences for campers of all athletic interests and abilities. 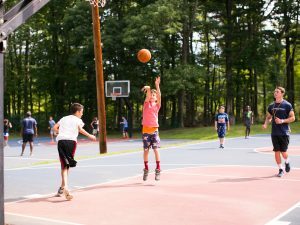 Whether a camper is trying a new sport or competing in an intercamp competition, our talented staff of coaches, college athletes, and activity specialists foster a welcoming environment that ensures participation and play for every camper during their five weeks at Pocono Springs. Campers have a chance to build skills and knowledge of the game through exciting drills and exercises, while experiencing healthy competition, being a good teammate, and simply having fun. In addition to competing against each other, campers have the option of participating in intercamps against other camps. There are no tryouts and campers do not have to “make the team.” Any camper who wants to participate is welcome and is guaranteed to play. We love to win, but our focus is on good sportsmanship and having fun.